Adopted in the West classification, non-lethal weapons refers to weapons with less life-threatening action intended for temporary defeat of humans and animals to prevent them to commit the wrongful or aggressive actions. However, misuse of such weapons can lead to death, so you need to treat them with maximum caution. 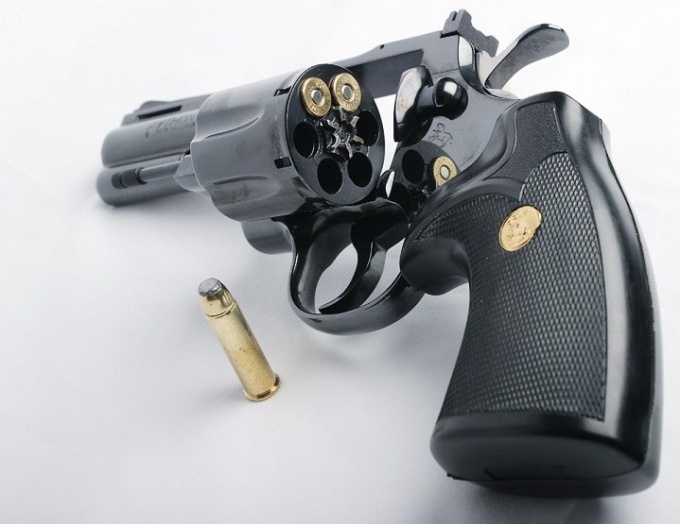 - Application for issuing licenses for weapons. - Original and photocopy of 2,3 and 5 pages of the passport. - 2 matte photos 3x4 cm. - Medical certificate form 046-1. Receipt of payment of one-time charges. Will issue a medical certificate on form 046-1. Pay a receipt for the licence for the traumatic weapon. Buy a box of a suitable size and install it in his apartment. Write an application to your Department OVD Department Licensing and Permitting Work. Wait for decision on your question. As a rule, the license shall be issued after thirty days. If after appropriate verification on your application will be accepted satisfactory solution, you need to pass the exams, which you will need to demonstrate your knowledge about how to store, carry and use of traumatic means. You can now purchase weapons. After buying a stun gun, you must within two weeks to register with the Department of Licensing Work with the police Department. The personnel number of the purchased gun will be added to personal observation, that from this point on will be in the experience of gun ownership. If not time to buy a safe, that is, the probability of failure to receive the necessary information from the district, which would entail the impossibility of obtaining a license for the weapon. Traumatic weapons are allowed to buy during the entire term of the permit, but only after you get your license on hand. The license is issued for a period of 5 years. To extend the licence for the traumatic weapon should be done 3 months before the end of its validity period. From the point of view of implementing procedures, license renewal is not different from getting a new one. The cost of licenses for non-lethal weapons is set centrally, the state rates you can find in the district police station. Payment receipts are in one of the branches of Sberbank. Non-lethal weapons, according to the law, is defined as crimes – restricted firearm destruction. It is assumed that at close distance a traumatic gun can be a murder weapon. Therefore, the requirements for obtaining the license for such a weapon is quite hard. To make non-lethal weapons, to obtain official permission – a license, you will need to fill out a card-application on a standardized form with pasted in it the photo 3x4. 3 of these pictures will need to enclose other documents. Photos must be printed on matte paper. To obtain a license would require the original ID card – passport and copies of its pages, including the registration stamp. In the Department of licenses and permits of (ARR) ATC at the place of registration it is necessary to know the Bank details for the transfer of the state fee, pay it and the payment receipt to attach to the documents. The fee for obtaining a license to travmatik is 30% of the established minimum wage. You will also need to undergo a medical examination by examination by a psychiatrist and narcologist and a note that those specialists on the account you are not a member. Confirming this fact and your health document will be a medical certificate in form №046-1. Non-lethal weapons must be stored in a specially equipped secure location, inaccessible to outsiders. You will need to purchase a separate large safe, which will also need to put ammunition and other accessories – holster, shop, etc. the safe should be securely attached to the wall or the floor to carry him away was impossible. An act confirming the availability of such location, signed by your local police inspector, will also need to attach to the documents. Some police Department can also require the Windows of your home or apartment, if you live on the first or last floor, the grating, but this requirement in the law not specified. 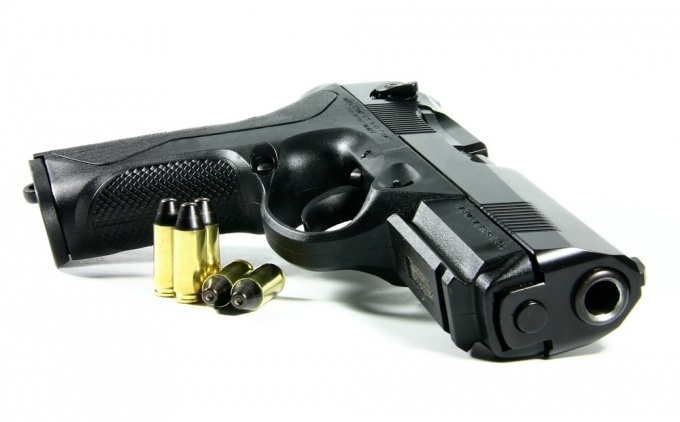 Complete training on the safe handling of firearms restricted to the harmful effect and get Evidence about it. Address of the organization that issues these certificates, you need to know in OLRR ATC. In addition to these certificates you will also need a copy of the certificate on statement on the account in tax Department with tin and certificate of employment. Traumatic weapons may not hold persons under 18 years of age; who have a conviction, and those who were involved in the past year to administrative responsibility for hooliganism; people with health problems or poor vision. Licensed to the acquisition, possession and carrying of weapons can be issued via the Internet. The portal of public Services can significantly reduce the time you spend on a visit to the Moi for licensing. The electronic record ensures that the time for submission will not exceed 15 minutes. - a copy of the license to acquire arms with a mark of the seller or HOOOOP of the MIA of Russia. The portal of public Services allows to form e-application for obtaining a permit for the weapon, and choose a convenient for a visit to the interior Ministry for granting of originals of documents and obtain a license. Thus, a personal visit to the Ministry of interior can not be avoided. But despite this, the electronic part greatly facilitates the process of obtaining a license and allows you to plan your time. Because, as a rule, the period of application of the Ministry of interior is carried out in restricted hours, and to feed often required to defend the long queue. A prerequisite for submitting an application for a license via the Internet is to register on the portal of public Services. It is free, but requires the preliminary verification data of the user and the activation key for the site at the post office and in the office of Rostelecom. After you log in to your personal account you need service you will find in the section of the interior Ministry. The procedure of applying and obtaining a license depends on the type of weapons: hunting, collectible, defense weapons, pneumatic, rifled, etc. In an email statement you will need to fill in personal data and other information that is required in obtaining a license. Next, you will have the opportunity to choose the OU in which you will have to be for a licence, as well as a convenient time and day for personal appeal. In the personal Cabinet in section "My applications" will be given name of an authorized inspector. Here you can print the e-ticket with a specified time, the application, and to learn what documents you need to bring. Within a few days you should receive a letter stating that the application be processed, but also an invitation to the interior Ministry. You must be a visit at the appointed time and bring the original documents. 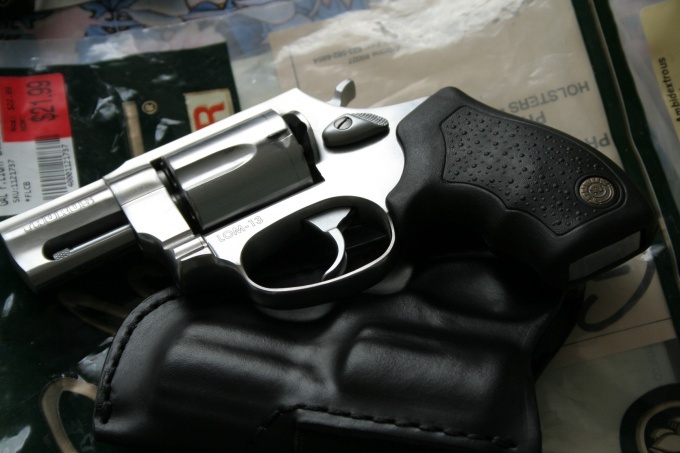 Before the license is obtained, the police officer must come to the citizen's place of residence and to check the conditions of storage of the weapon. You have to be in the presence of a metal box and safety Deposit box. Also according to the latest innovations of Russian citizens who buy a gun must undergo a safety training. You first need to undergo a medical examination and obtain a medical certificate 046-1. In particular, mental health and substance abuse clinic, and also to test eyesight. In the case of a positive decision you will be invited to the interior Ministry for permission for weapons. A gun license issued by the Ministry of interior for up to six months. The only exception is the gas weapon, which is acquired in self-defense. To refuse to grant a license for a gun, the minors; no fixed place of residence; consisting on the account in a psychoneurological and narcological clinic; in the presence of a criminal record; in case of problems with vision; administrative violations during the year; in the presence of chronic diseases.